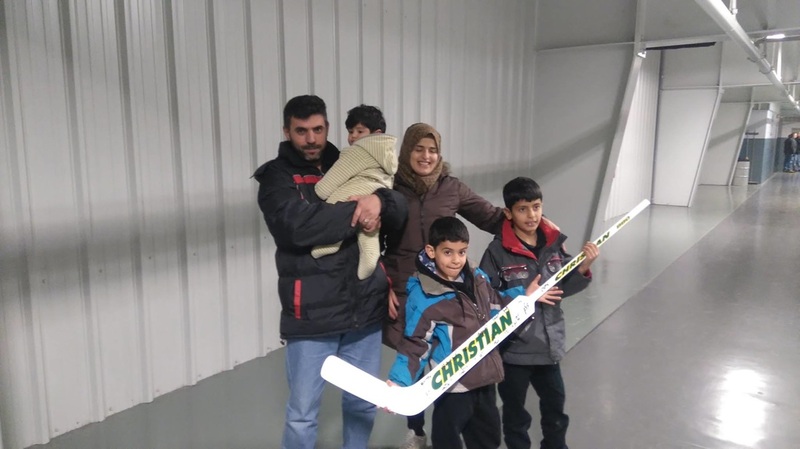 Do you realize that it was just over one year ago that First United Church opened our hearts to the thought of sponsoring a refugee family? Today, we are celebrating the Hamad/Kiwan first anniversary as Canadians! I am honoured to speak today on behalf of a wonderful group of people who have worked together to support the Hamad/Kiwan family’s arrival to Canada from Syrian via Jordan. We have supported their needs in their first year as Canadians and we truly understand that, “It takes a village”. We have worked, laughed and loved together as a church family. Through this experience, we now know people of our congregation and community at a whole new level. This experience has reinforced for each of us that we belong to an amazing community of faith. We are thankful. When we started this journey, we were unsure of what “our” family would be like, what they might need, and how we could best support them. While we were very unsure of how best to proceed, we did what churches do when we are called to do something - we struck a committee. We met to explore what we might need to do. We had great guidelines from both the United Church of Canada and also government agencies. We talked about what was in our control and what was out of our control. We knew approximately when they would come, but did not know exact dates. We found them a house, set up The Giving Tree, and asked for your help and prayers. You were so generous with your gifts and your time. When we got that telephone call that told us we had two days to make it happen - you responded. Thank you! The day came and the van left for Toronto with a translator aboard. 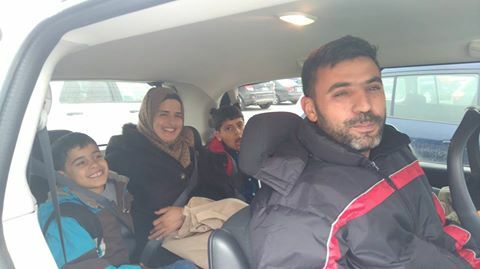 After a bit of effort to find them amongst the many refugees awaiting their hosts, the ride home from Toronto to their new home in St. Thomas was memorable for all - Ahmad, who was 7 months old, cried quite loudly all the way. 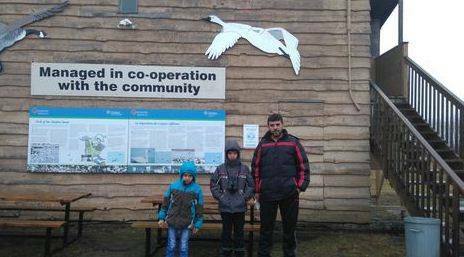 We came to learn that the Hamad/Kiwan family had escaped Syria to Jordan about three years prior and they had been in Jordan for the last year. When they made the choice to secure a safe environment for their children, they started their journey from Syria on foot. Amer carried what he could in a single back pack and Rahma bringing the two older boys while carrying a small bag of items for the boys. There were hills to climb and it was a treacherous journey. 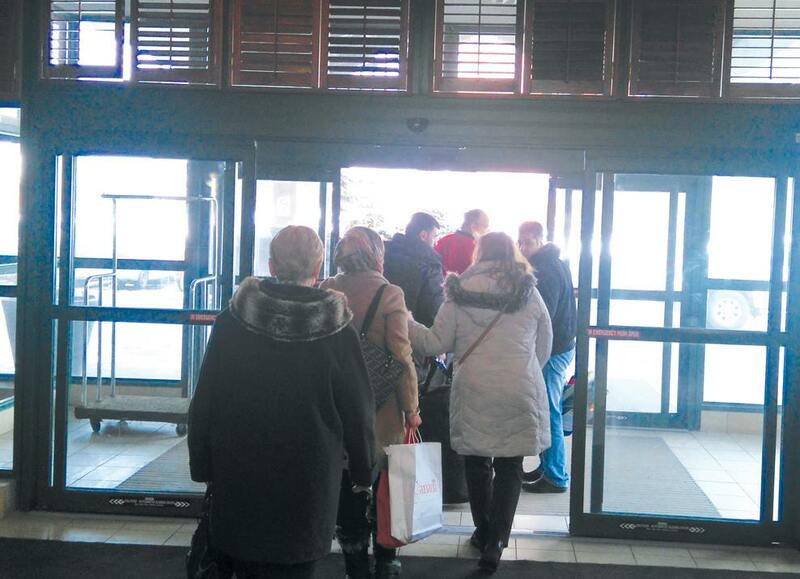 They left the only life they had known and their loving family behind. Their new life in Jordan was also very difficult; however, while in Jordan, Ahmad was born. Once in Canada, interesting challenges arose. Imagine being in a new country with a new language and culture! Communication, or should I say miscommunication, was most often the challenge. Let me give you some examples. In their early days, on one of our frequent visits, Rahma showed us a box of baking soda and asked what it was. You know the one with the cow on the box, that we left open in their refrigerator to catch smells? Amer had assumed it was a milk product - there was a cow after all and it was in the fridge - so he had put it in his coffee! Even though it was bubbling out over the rim of his coffee cup - he drank it. He thought it was strange that Canadians liked their coffee like that! They received a very brief orientation to Canada and the English language in London, the Hamad’s started their education in ernest in St. Thomas. Shahin and Yousef began at John Wise Public School. Initially Amer studied at English as a second language at Balaclava - then he was joined by Rahma after Ahmad turned one and was able to start at Robin’s Nest Daycare. We have also learned to communicate in the shared language of music - mostly classics like “6 little ducks”, “the wheels on the bus”, and “Head and Shoulders, knees and toes”! Communication has been simplest in the shared language of food! The Hamads are gracious hosts and always offer tea and food when you visit. As for me, I have learned to love makdous. Makdous is a Syrian staple food, made seasonally each year with baby eggplants, with the water pressed out through a rather complex process, then stuffed with walnuts, and peppers; all persevered in olive oil and stored in mason jars. The process to make it takes well over a week. When you eat makdous, it wakes up your tastebuds. By the way, makdous is great alone on toast or with eggs! Amer has learned to wear long pants or slather on sunscreen when going out on a boat for the day. Google translate can help - but it doesn’t always translate very well and can give rise to more miscommunications. We have learned that charades is often the best way to communicate. That we associate red skies at night with good weather tomorrow but the experience of these children is that red skies may mean impending danger. There are so many lessons and stories - but what else would you expect - we are family after all! The Hamads express extreme gratitude to our church family, and the Canadian people. We would like all the people here today who helped support this wonderful family. You have donated your time to help ready their home, taught English, driven to appointments or school, donated to the Giving Tree, made financial donations, filled out forms, helped build their fence, connecting with the school or helped with homework, supported at appointments, travelled for groceries, visited the Hamads or were involved in so many other activities! Thank you. In the last year, we have learned that Canada is so fortunate to have this wonderful family. Ahmad is growing quickly and is learning to speak in both Arabic and English. He has gone from crying at the sight of snow to sitting down to eat a snowball in his snowsuit. We are so happy that you are here, safe with us in Canada. We have received from you so much more than we have given - thank you Hamad family. we would like to thank the people of First United Church for all your generous support with our Giving Tree Project. Once again we are asking for your help. 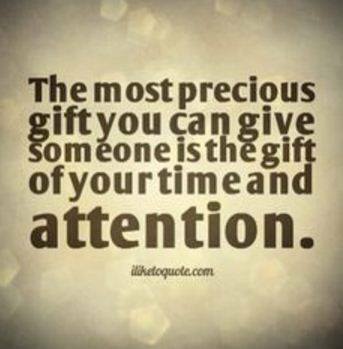 Instead of Giving a monetary gift, we are asking for your gift of time. The family is looking for outings during the summer. *The family would appreciate Babysitters…so Rahma and Ahmer can have some alone time. Remember, they do not have family to help them. *Looking for an ESL teacher to give an hour or two a week to help with Rahma's English. 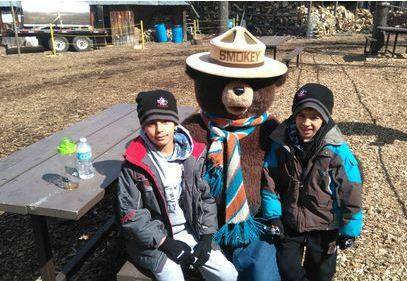 *Looking for offers of day trips (Port Stanley, Pinafore Park, Canada Day, movie Nights , etc.) by including this family with yours. *Driver needed for shopping/groceries, appts, weekly activities. etc. Our committee is in the process of drawing up a schedule of monthly Activities. If you are able to help, please email Carolyn Johnson by clicking the button below. 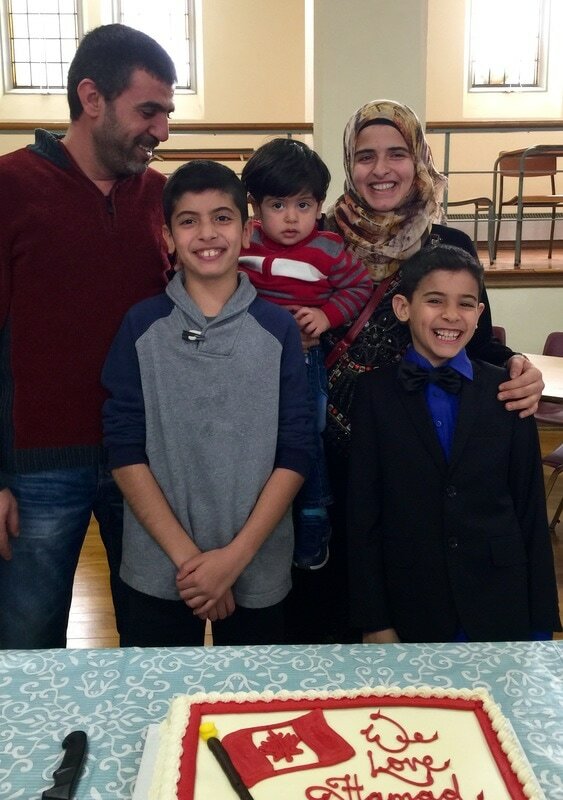 April 17, marks the 2 month period our New Canadian Family from Syria has been in St. Thomas! Things have changed in a positive way in a very short time for this family. We have noticed a remarkable major change. Our conversations are about sunshine and flowers, good food, school and a new life in Canada. We discuss less and less the devastation and the lives left behind. They are very grateful to the First United Church community and love the city of St. Thomas. They are settling in well in their respective schools and lessons and their confidence grows with the amount of English they are learning. Whether it is swimming at the Y, (the boys who could not swim on arrival are now swimming lengths of the pool and are learning how to dive), the tours of the parks in St. Thomas, learning to ride their bikes or, walks in the park with the family and exploring nature, flying kites in the sunshine-- everything is WOW and beautiful. It is our great fortune to be witness to their love and expressions of wonder of this beautiful country. Everywhere we go, people approach us and ask if this is our new Canadian family. The response to, “Welcome to Canada”, is always a beautiful proud smile and a, “thank you”. We have started a vegetable garden with the family and are working on favourite herbs. Imagine our surprise when Rahma makes her own three varieties of cheese. This family is truly hard working and a joy to witness their everyday accomplishments. It is a blessing to watch their independence grow and fulfill their desire toward being self-sufficient Canadians. Great meeting tonight (Feb 3/16) of the First United Church's Syrian Refugee Committee. We will be welcoming a family of 5 to our community in the coming weeks. Stay tuned to find out how you can help.